Last night, I finished reading The Humans by Matt Haig which I won from The Book Depository. It’s hardest to belong when you’re closest to home . . .
One wet Friday evening, Professor Andrew Martin of Cambridge University solves the world’s greatest mathematical riddle. Then he disappears. When he is found walking naked along the motorway, Professor Martin seems different. Besides the lack of clothes, he now finds normal life pointless. His loving wife and teenage son seem repulsive to him. In fact, he hates everyone on the planet. Everyone, that is, except Newton. And he’s a dog. Can a bit of Debussy and Emily Dickinson keep him from murder? Can the species which invented cheap white wine and peanut butter sandwiches be all that bad? And what is the warm feeling he gets when he looks into his wife’s eyes? The Humans is mainly set in Cambridge, England. The setting is very believable and realistic. The book is written from the perspective of the person who took Andrew Martin’s body (let’s call him “the alien”). It is written in conversational style. As if “the alien” was talking to the reader, who, in his opinion, is one of his species. I think this is a very interesting and entertaining writing style, which is also very clever. This way, Mr Haig takes the reader by the hand and leads them right into the story. He makes them part of it instantly. The main characters of The Humans are “the alien”, Andrew Martin’s wife Isobel and their son Gulliver. For me, they were all very easy to empathize with, especially “the alien” and Gulliver. I was able to follow “the alien’s” problems, his discoveries, his moral changes and his feelings throughout the book. I also had no problems understanding Gulliver’s teenage world and all the problems and feelings that he had. I could feel “the alien’s” and Gulliver’s relationship with all their highs and lows. I could also feel the relationship between Isobel and “the alien” but it wasn’t depicted as intensely as the relationship between Gulliver and “the alien”. I really enjoyed the plot. It was a little predictable but had its twists and turns. I don’t think The Humans is a book you read for suspense, it is a book that is full of fun and creativity. The only thing I would have left out is the “Advice for a Human” list at the end. I didn’t really see a point in it and it was somehow boring. 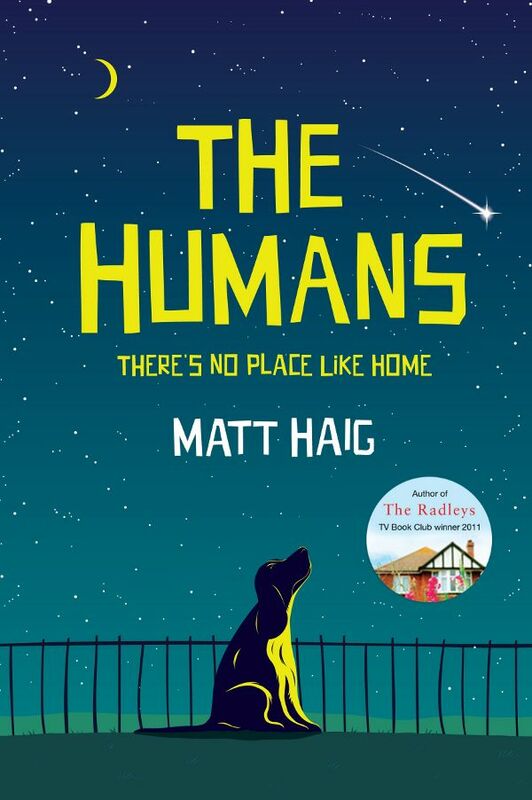 Other than that, I had great fun reading The Humans and I can fully recommend this novel to anyone who wants to read something different for a change.